Today we are pleased to welcome Alejandro Martinez to our Photographer’s Showcase at NCN. Alejandro is an American- educated Mexican photographer. He holds a B.A. in Studio Art and a minor in Japanese from Dartmouth College in New Hampshire. He spent the past year in China, photographing and studying Chinese. Currently he teaches photography at an international high school in Mexico City. 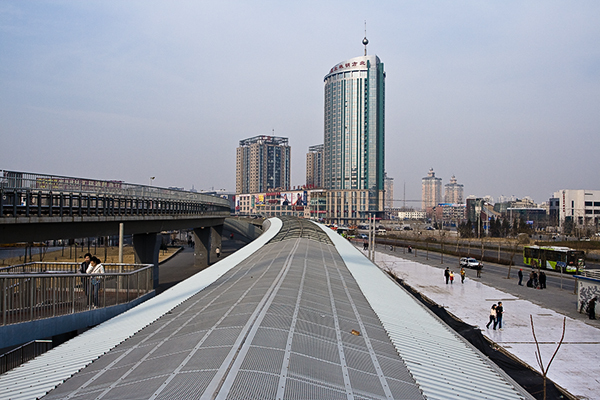 The first Beijing is the city, the second means background (as in historical or personal background or the background of an image) or backdrop . The series is an exploration of the complexity and fragmentation of the city space as it continues to rapidly expand. The images were taken in 2008-2009 in the aftermath of The Olympic Games. 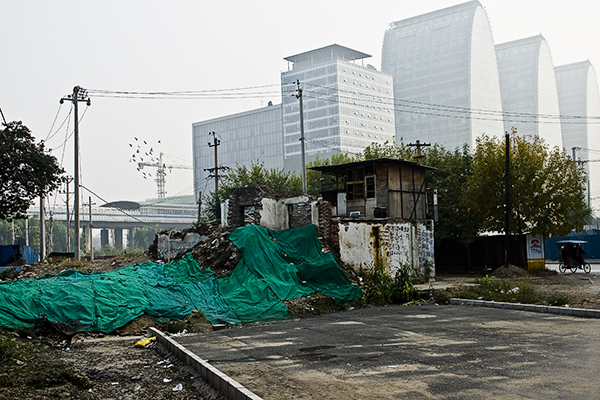 西直门 （Xizhimen): Recently demolished structures to construct a new high rise next to a new subway station/mall/office complex. 立水桥北 (Lishuiqiaobei): Looking at an upscale mall/office complex from the subway station in one of the most populated suburbs in the north part of Beijing. 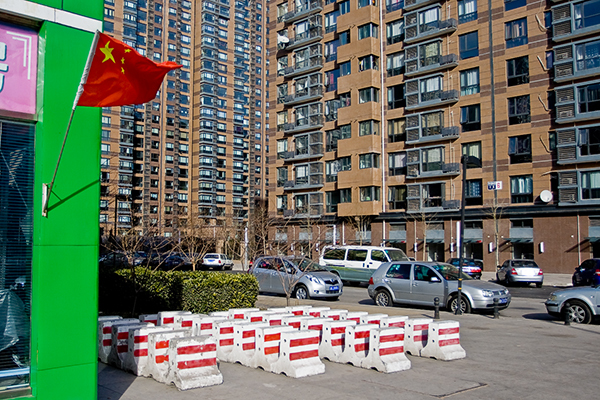 Near 国贸 (Guomao): Chinese flag flying outside a store, and traffic barriers by upscale apartment buildings close to the financial district. 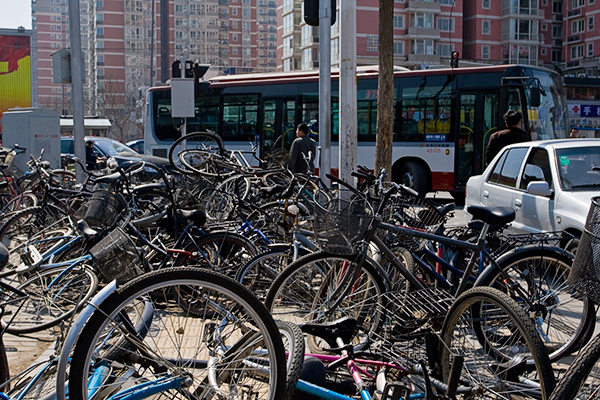 五道口 (Wudaokou): Bicycle parking by subway station in the university district. 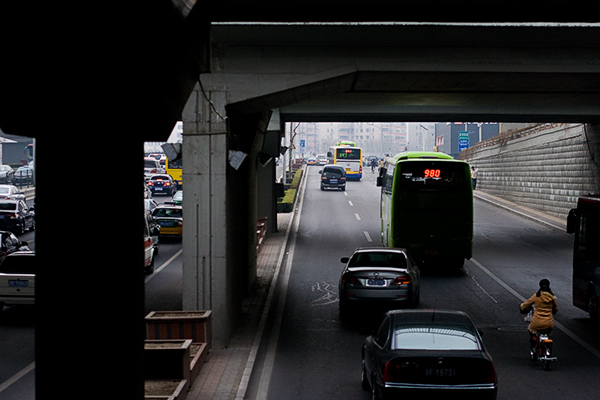 北三环 (Beisanhuan): Underpass on the 3rd Ring Road North. These images belong a larger series exploring the city space and its people. People can access this and other series from Alejandro’s time in China here. They can contact him at alejandro@alexmatz.com.